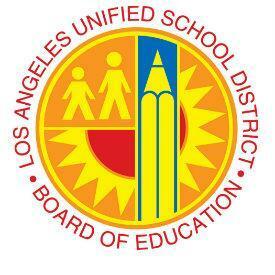 LOS ANGELES (June 19, 2018) – The L.A. Unified Board of Education voted today to unanimously approve two resolutions that remove key barriers to college access for Los Angeles public school students. The resolutions, co-sponsored by Board President Mónica García, Board Vice President Nick Melvoin and Board Member Kelly Gonez show that L.A. Unified has high expectations for all students as they pursue college and careers. The first will offer the SAT or ACT for free to every high school junior in L.A. Unified during school hours, expanding on a successful pilot from Local District South that nearly doubled the percentage of students who sat for the college entrance exam. It also calls for the Superintendent to find ways to boost linked learning and career pathways education. The second, authored in partnership with L.A. City Councilmember David Ryu, pursues a College Savings Account for every public school first grader at no cost. These accounts, through savings incentives and matching fund programs, can empower students to set their sights on college from an early age. This program would provide accounts without requiring a social security number or parent bank account. "Today, the Board demonstrated our commitment to preparing all kids to graduate college - and career-ready—from helping families start saving for college in elementary school to making the SAT and ACT more accessible to our high schoolers,” said Board Vice President Melvoin. “Both of these resolutions may start with a small, simple investment, but they have the potential to produce big, life-changing results for our students." “Children's Savings Account programs, already growing in cities across the nation, is a chance to empower L.A.’s students regardless of income, zip code or background," Councilmember Ryu said. "This is about more than fostering savings, it's about fostering the expectation that every child should strive for a higher education." Board Member Dr. Richard Vladovic added, "Local District South showed us how to get this done and opened the door to offer our students free access to the SAT/ACT; a lack of access to college entrance exams should never be an impediment to higher learning." If you would like more information about this topic, please call Ally Salvaria at 213-241-6387, or email at Ally.Salvaria@LAUSD.net.